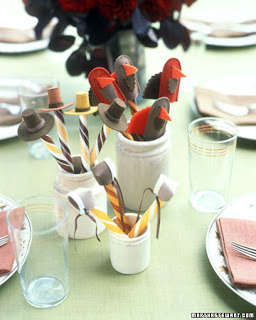 These finger puppets from Martha Stewart are perfect for entertaining your kids at the Thanksgiving table. You can even use them to create a fun finger puppet play that can be acted out at the table. This is also a perfect project to do with older children.